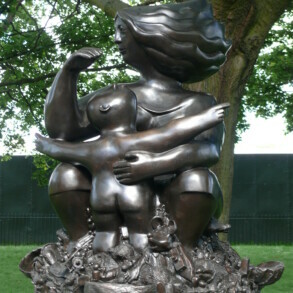 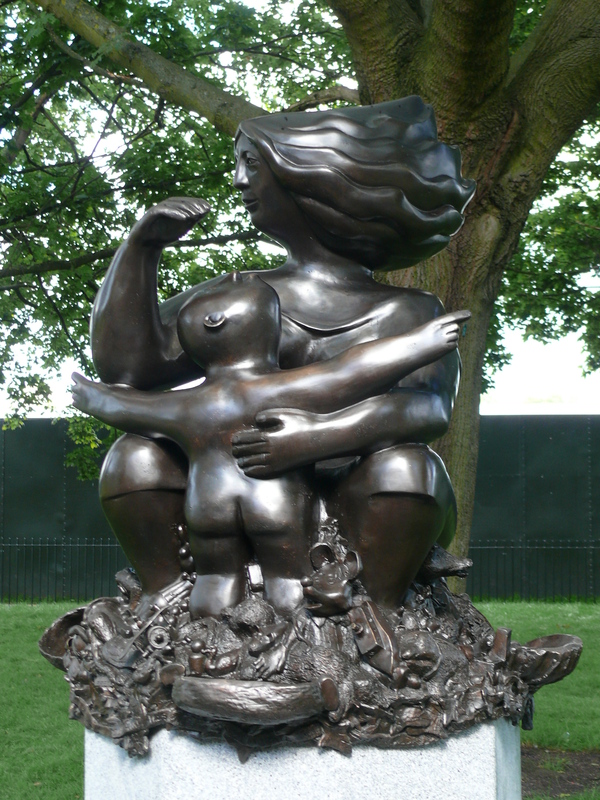 The 'Year of the Child' sculpture and drinking fountain had lain in storage because of damage, particularly around the neck area where there was a large crack, scratches and a non working drinking fountain. 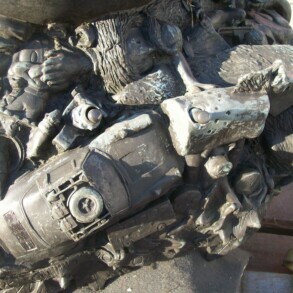 The plinth for the statue with the water supply and drainage had disappeareed completely. 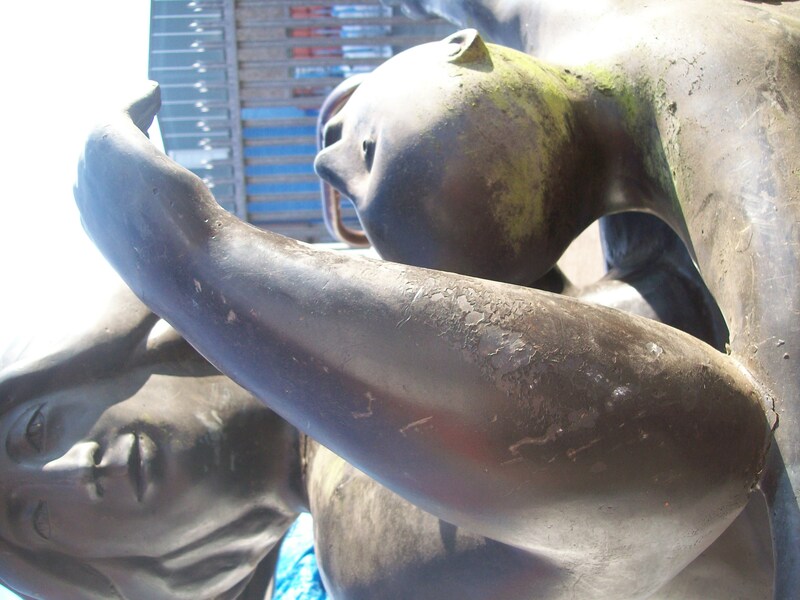 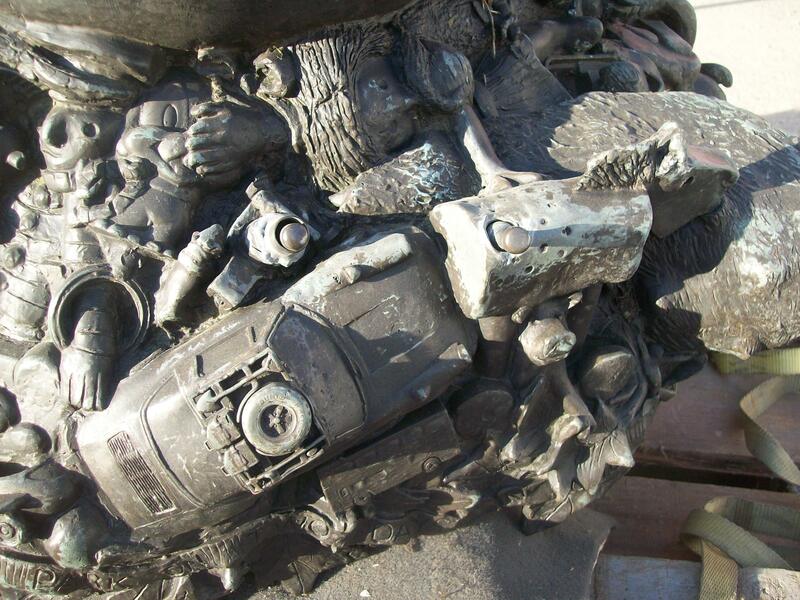 Eura transported the sculpture back to our workshops where repairs were made to both sculpture and fountain and where necessary replacements, like for like, to the nozzles, valves, levers and pipes. 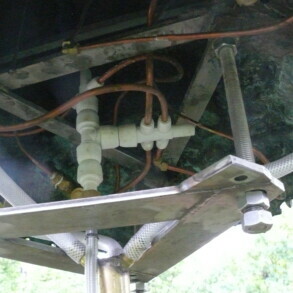 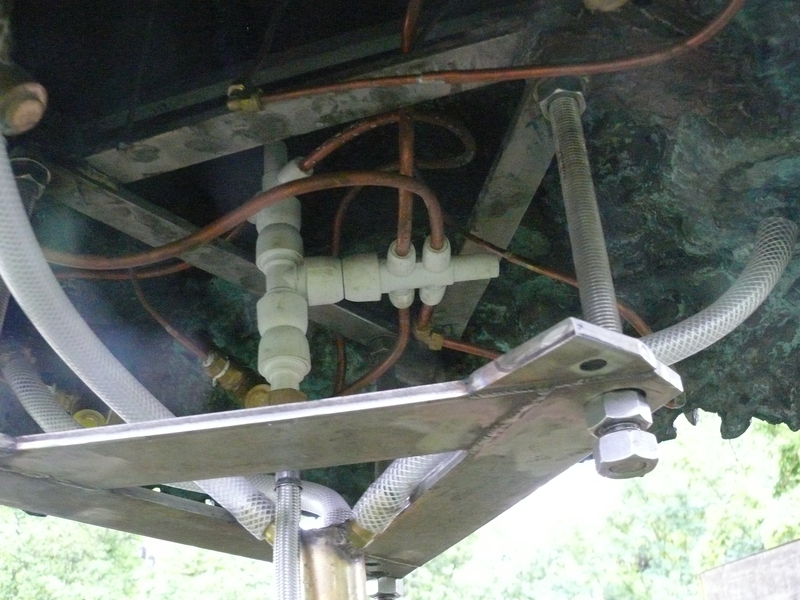 A new plinth was designed and made, allowing for water supply and on site drainage prior to building and re-siting. 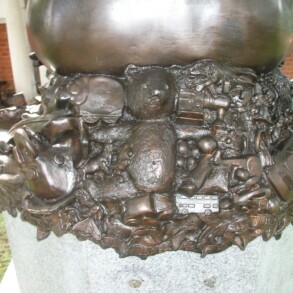 There were particular probelms with several aspects of this sculpture and drinking fountain. 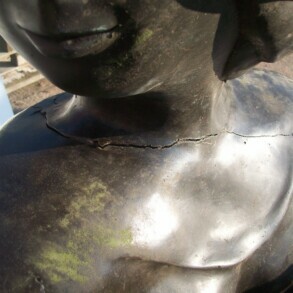 The bronze itself had some bad cracks and scratches with green corrosion products showing in many places on the surface. 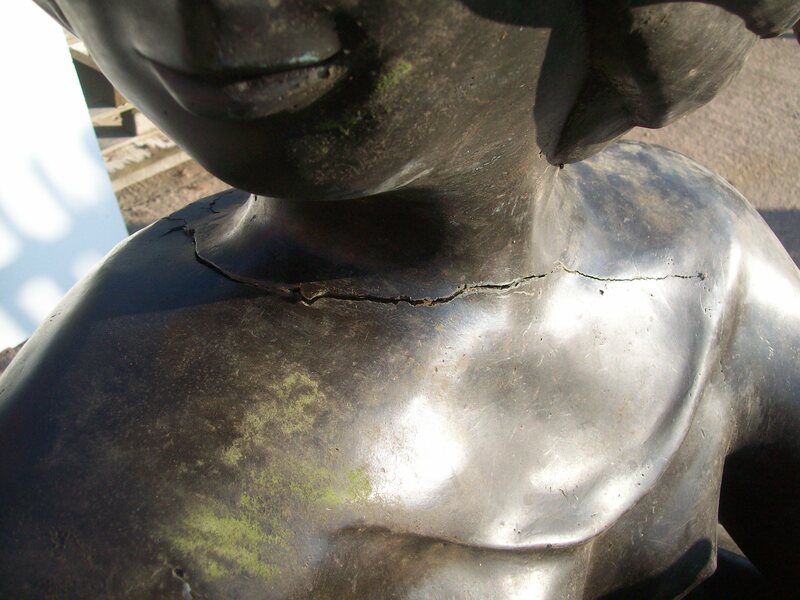 Having assessed the problems and carefully repaired the cracks and fissures the surface was thoroughly cleaned and re-patinated to match the original. 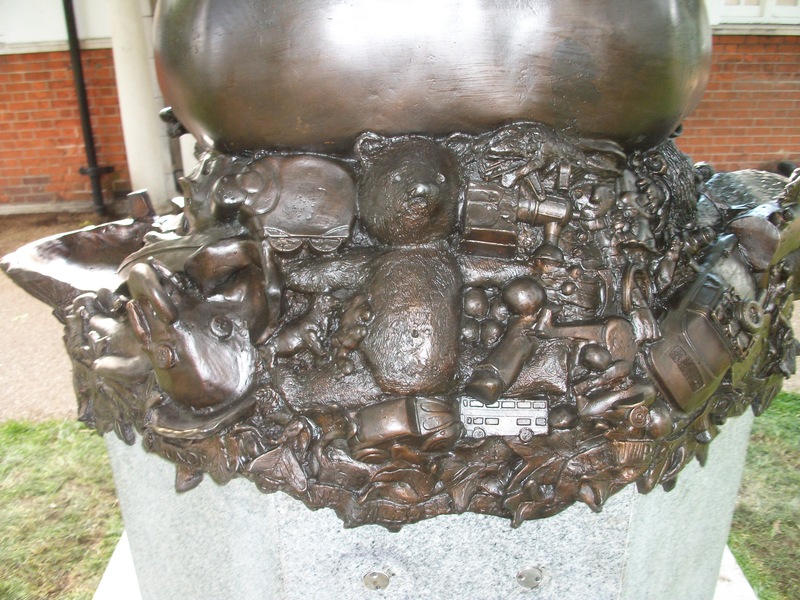 The composition of the bronze itself was problematical with the surface being varied and as a consequence difficult to patinate evenly. 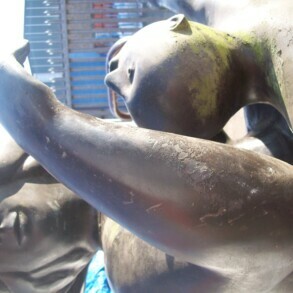 Finally the sculpture was hot waxed to give maximum protection against the ingress of water. 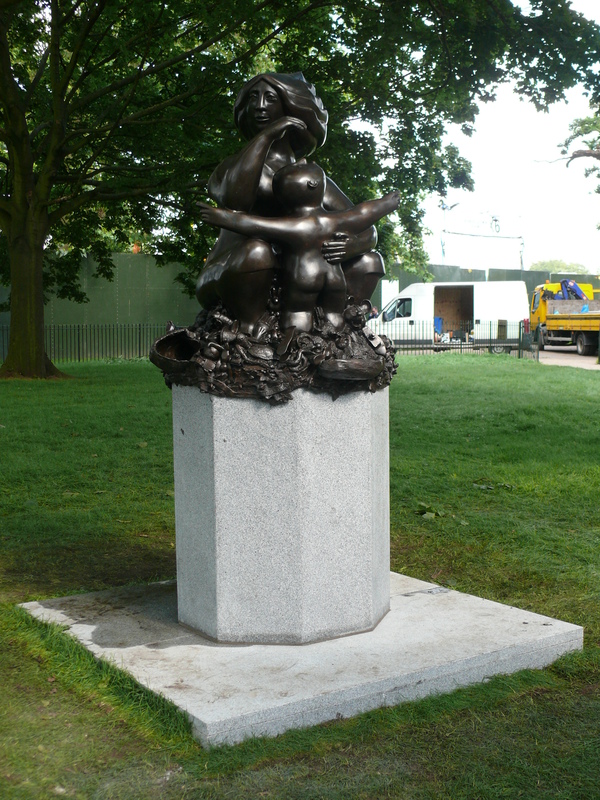 The new plinth was constructed on site and the statue replaced with the water fountain available for all to use.